We are proud to partner with our friends who offer accessories and resources to help you rock your role. We are particularly proud to support women-owned businesses. If you would like to include your website or social media page, please Contact Us. 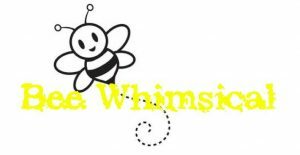 Fun, whimsical, custom items for babies, kids, self, home, garden and our special guests, Santas and Mrs. Claus’ clothing and accessories. 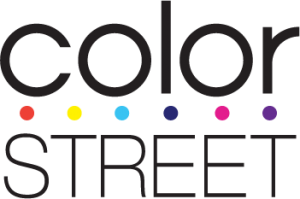 Color Street—inspired by New York’s “City That Never Sleeps” nonstop energy and wildly colorful fusion of cultures—offers a vast array of colors and nail art design. 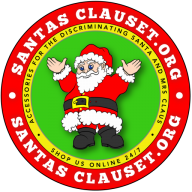 Our site focuses on providing members of the Santa Claus community with the best values in high quality Mrs. Claus, elves and Santa jewelry, knick-knacks, and accessories. Our signature SantaSCents fragrances are designed to take the Santa and Mrs. Claus magical experience to a whole new authentic level. Santa’s Clauset has been delivering unique, value-packed Santa and Mrs. Claus accessories since we opened in 2004. 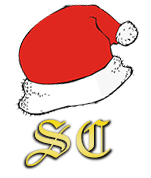 Toys For Santa is intended to serve as your most trusted resource for unique, quality accessories for the entire Santa Claus community, including Santa himself, Mrs Claus and their elves.